Claire’s has announced that it has filed for Chapter 11 bankruptcy. The company says it plans to pursue a financial restructuring to eliminate a “substantial portion of debt” and position itself as one of the world’s leading jewelry stores for young women. Claire’s expects to complete the Chapter 11 process in September and reduce its overall debt by approximately $1.9 billion. “This transaction substantially reduces the debt on our balance sheet and will enhance our efforts to provide the best possible experience for our customers,” said CEO Ron Marshall in a statement. “We will complete this process as a healthier, more profitable company, which will position us to be an even stronger business partner for our suppliers, concessions partners and franchisees,” Marshall said. The company joins other retail chains that have been forced to file for bankruptcy as a result of lighter foot traffic in brick-and-mortar stores. Last week, Toys “R” Us announced it would close all 735 of its U.S. stores after filing for bankruptcy last year. But Claire’s says it’s not done doing business yet. 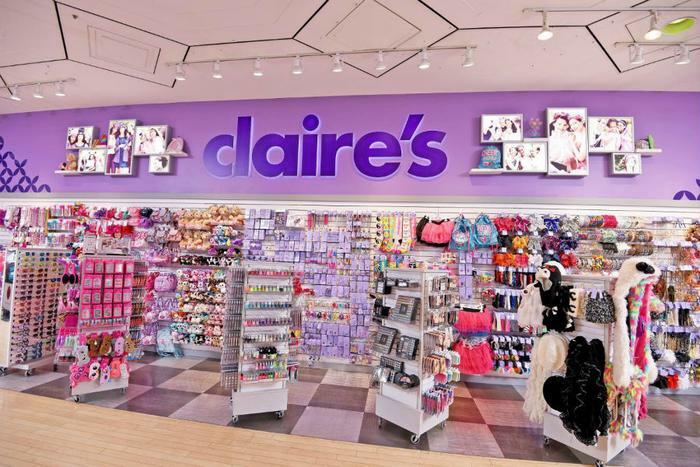 "Claire's is growing, not shrinking," the company said. It expects to report net sales of more than $1.3 billion and net income of $29 million for the 2017 fiscal year. It also expects to add more than 4,000 stores in 2018. Claire’s, which first opened in 1978, says it has pierced more than 100 million ears around the world. The company says its business is safe from online retailers like Amazon because you can’t pierce your ears online. The company will continue to operate its Claire’s and Icing brand stores worldwide during the restructuring.